Want to know the secret to drumming up buyers for your home before it officially hits the market? While most home sellers don their home-selling hats after their real estate listing goes live on the multiple listing service, if you’re eager to generate some buzz sooner, you certainly can—and should. “There’s no reason to wait until the day your home hits the market to start selling,” says Regina Petruzzi Neumann, a real estate agent in Leesburg, VA. In fact, she recently sold her own townhouse before it hit the MLS, and adds that regular home sellers can easily follow in her footsteps. Want to know how to start? Here’s how to get those sales gears turning, and why it’ll pay to do so sooner rather than later. One way to drum up some excitement before your home hits the market? A “coming soon” announcement. Basically, this description can be placed on listings that are up on the MLS, but not yet officially for sale. You can also plant a “coming soon!” home sale sign on your front lawn—which is what Petruzzi Neumann did for her own home. The result: “Many buyers who were shopping other homes in the neighborhood saw the ‘coming soon’ sign, and came up and knocked on our door,” she says. Oddly, a “coming soon” sign may have even more impact than a “for sale” sign because, let’s face it, everyone loves to think they’re getting special early access to something before everyone and their brother know what’s up. 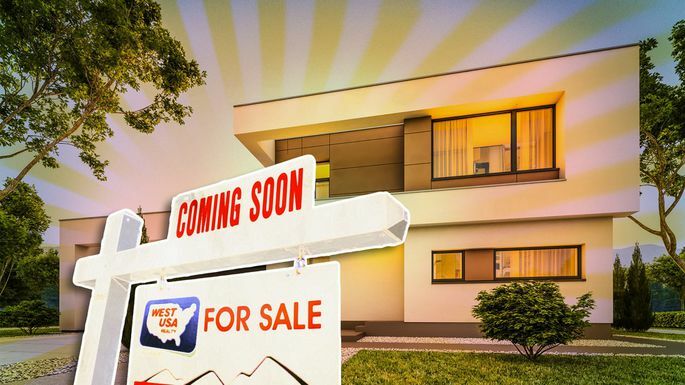 While MLS rules vary from place to place, just know that they typically mandate that a “coming soon” status and sign can’t be used for more than 21 days. But that’s plenty of time to generate some buzz. Another ally to get the word out early? Local loan officers can be really helpful on several levels. For one, smart home buyers don’t hit open houses until after they’ve sat down with a lender to get pre-approved for a loan. Pre-approval, after all, lets home buyers know what they can afford—and proves to sellers that they’re qualified to close the deal. But home sellers can also benefit from working with local loan officers, since chances are good your upcoming listing will get some “free press” on their website and in their office. After all, it’s to their benefit if someone takes out a home loan through them; they may even offer these buyers special rates! But rest assured, home buyers don’t have to use these lenders to buy your home, either. So, it’s a no-strings-attached publicity at its finest. Another bonus: Partnering with a loan officer allows buyers to “see” how their dream home might actually be affordable in a numbers and cents kind of way. Naturally, you’ll want to make sure you tell everyone you see and meet that you’re getting ready to list your home. You’d be surprised by how many people have a friend of a friend who is looking and would love to be in the neighborhood. It’s like that gossip game you played in junior high: Start the rumor that your property is going on the market and see how fast it spreads. Post the news on social media, with pics, and it can give your friends visuals that they can share. Petruzzi Neumann also suggests posting on community Facebook pages. While you can’t have an official open house until your home’s on the market, you can host another event that’s just as good, if not more so: a “preview” open house. “Having a well-attended ‘preview’ open house generates an atmosphere of creating multiple offers,” says Lisa Smith. Even better, try to schedule your “preview” at the same time as other open houses in the neighborhood to capture that foot traffic. Basically, creating a prelisting buzz comes down to making people believe they’d better jump on this rare opportunity where they’re ahead of the curve.